Do not be fooled by my review below: this is the review of a girl who spent her childhood watching Power Rangers every afternoon after coming home from school. In fact, I can even tell you that I remember watching those episodes while drinking a glass of hot milk with Nesquik, and I was so obsessed with the show that I was convinced they were real people and that the intro credits with their ‘real’ names were just some sort of decoy to keep their identities a secret. Yes, that is how into the PR I was. Now, with that in mind, I cannot give you a biased review of the 2017 film, because I was watching it through the eyes of a five year old. But at least let me tell you this: I loved it. 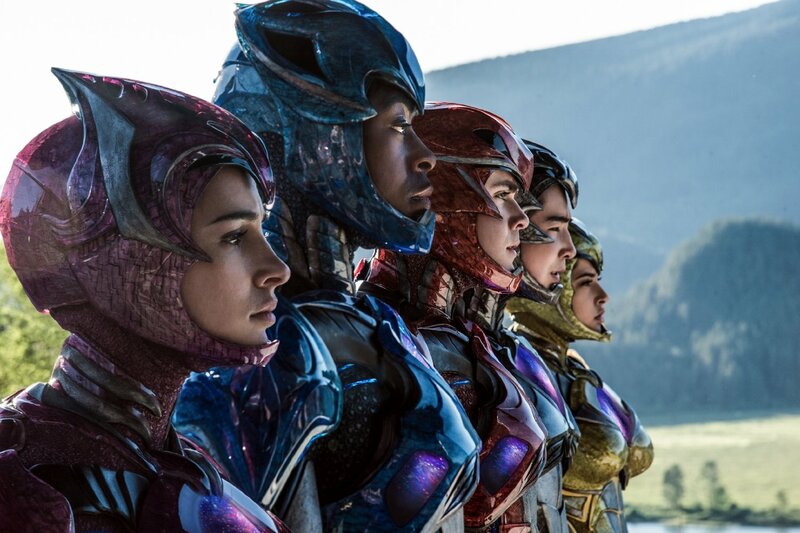 Sure, perhaps for someone who doesn’t give a toss about the Rangers, this is an okay film, that tackles many of the insecurities teenagers go through, and with a multiracial cast that outwits the original one (thankfully, they didn’t make the black guy the Black Ranger, nor the Asian the Yellow Ranger, so there is progress in that). We even have an autistic Ranger -why did it take so long? So don’t expect anything but a nostalgia trip from this movie, while at the same time getting the same story with an infused new life to it, with a modernisation of the characters and the message that will satisfy any sceptic viewers. I myself spent the entire time waiting impatiently for them to say all the epic lines from the show. And if you just wanted the camp vibe from the show, don’t worry, because Elizabeth Banks as Rita Repulsa revels in it, and enjoys it immensely. As do Bryan Cranston and Bill Hader -they should have used Hader way more.